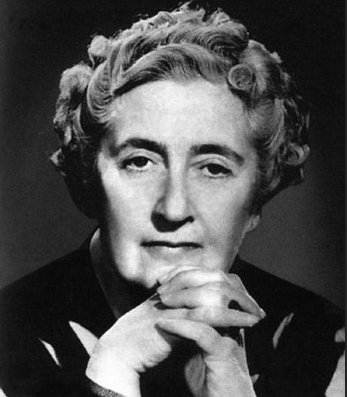 Agatha Mary Clarissa Christie (15 Gwengolo 1870 - 12 Genver 1976) a zo ur skrivagnerez romantoù polis saoznek. 1941 : Five Little Pigs, N or M? ↑ (en) Hervez THE HOME OF AGATHA CHRISTTIE - STORIES. ↑ 2,0 2,1 2,2 2,3 2,4 ha2,5 Skrivet dindan hec'h anv-pluenn Mary Westmacott.